Here it is at last — Episode Four of My Box of 64, my new audio journal. This episode took a while to produce. traveled to Colorado Springs, Colorado, to speak to the Anselm Society about the life-saving power of play. Well, those are a few of the things I’ve done in the last two weeks. It has been heartening to invest so much time and energy in the work of encouraging creative minds and hearts, and to see so many people who care about art, culture, imagination… and each other. Now I’m back and I’m catching up on the news. Sometimes I wish I could just ignore the rest of the world and do what I love. These are dark times for those of us who believe in “liberty and justice for all” — instead of white supremacy, Christian nationalism,” the Prosperity Gospel, or some other anti-Christ perversion of evangelicalism. As this nation throws itself headlong into a future of heightening injustice and isolationism, I need music that reminds me of God’s promises. I need music that increases my compassion and empathy. I need music that draws me into prayer. 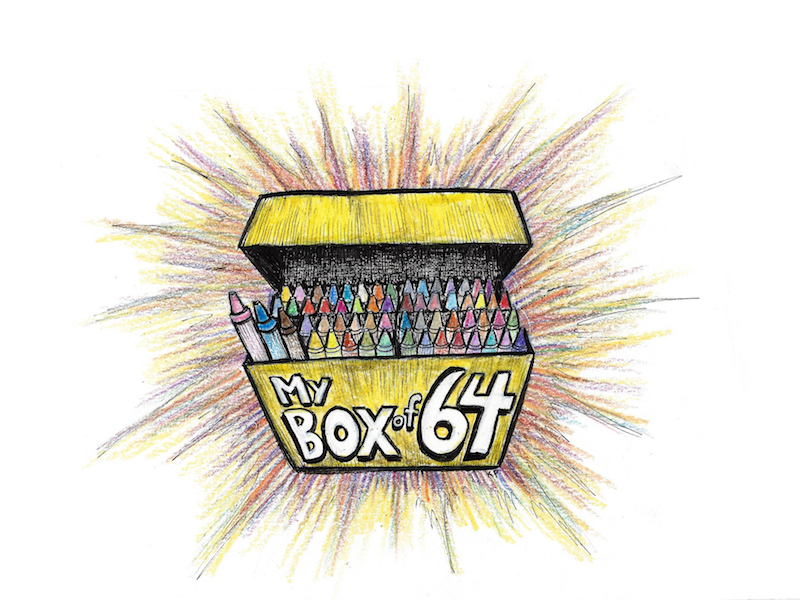 On this episode of My Box of 64, I’m sharing music from two albums that accomplish just that. Both of these records are good medicine. And I’m so grateful that God brought both of these Nathans into my life as friends and brothers. Join me for new songs and a long, meandering conversation with musician Knathan Ryan (of The Bruised Hearts Revue) at the Ridgecrest Public House, just a couple of miles from my home in Shoreline, Washington. You’re invited to eavesdrop as Knathan and I talk about the challenges of crafting truthful and beautiful art while also trying to make a living. It’s a funny, unpredictable discussion.